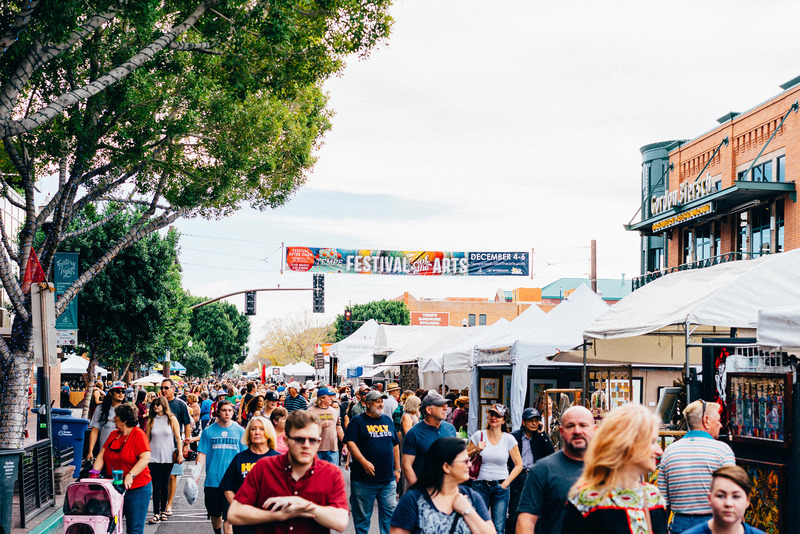 The Tempe Festival of the Arts has been around forever – I’m sure you’ve been to it at least once, and if you haven’t, I know you’ve at least heard of it…right? Anyway, do you know that feeling you get when you’ve gone to an event year after year and nothing ever changes…and part of you loves that tradition, but another part of you wishes there was something new and different? Me too! 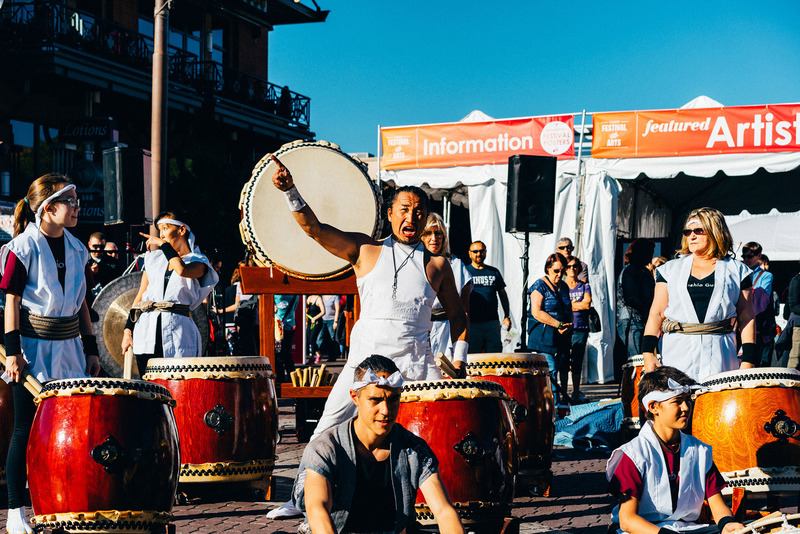 This fall, the 48th Annual Tempe Festival of the Arts is giving us life with all the old faves plus some new additions that we’re sure to fall in love with and add to the list of things we look forward to each year. Here are 7 things to look forward to, old and new! I wanted this new feature to be at the top of the list because it sounds super hip…and it’s the one I’m most excited about…duh! Sixth + Mill Makers is by far the most fresh and new element being added to the Tempe Festival of the Arts. It’s a carefully curated selection of Phoenix-made goods that will be featured in a designated area at the festival. If the name didn’t give away the location, you’ll be able to find these cool kids on the east side of 6th Street and Mill Avenue. 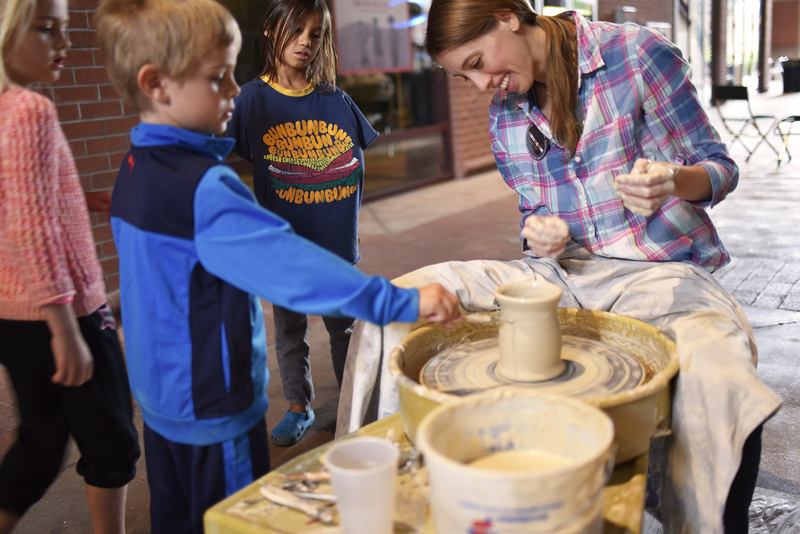 These local makers will be present to showcase their incredible talents as well as the growing entrepreneurial spirit in the Phoenix area among the maker community (in case you haven’t noticed). 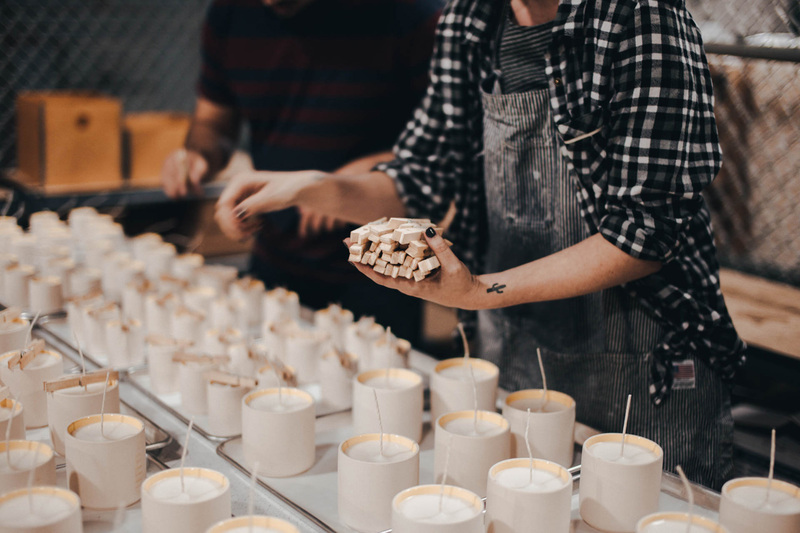 Each maker was hand selected by a couple of amazing curators, Andrew and Sam of Standard Wax. It’s rumored that we can expect to see everything from handmade greeting cards and letterpress stationary to modern concrete planters and floral arrangements. Be sure to check out this new section of the festival and let me know what you think. Not really an oldie, but definitely a goodie. 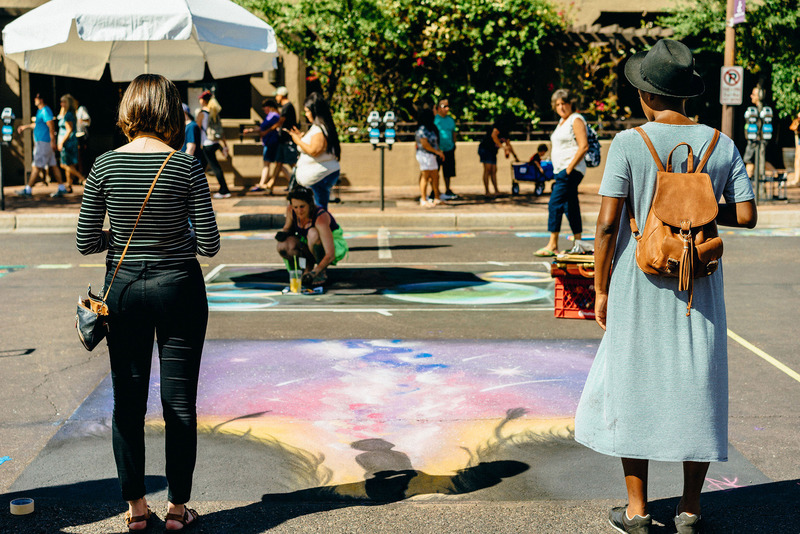 This special chalk section on 4th Street has been a part of the Tempe Festival of the Arts for several years, but it continues to grow in popularity as the chalk artists continue to increase in both quality and quantity. Who doesn’t love a great chalk mural? The best part about Chalk-A-Lot Street is that you get to see the murals transform over 3 days and watch the artists in their element, see their process and interact with them. And they work so hard – they’re on their hands and knees on concrete for hours, covered in chalk…still manage to take time out of creating to interact with people like me that ask them a million questions, and do it all with smiles on their faces. They’re pretty much amazing. And if you’re looking for some cools pics to flood your Snapchat and IG stories…this is the perfect festival feature for that! Aaahh…and what’s a festival without a little libation? In the past, we’ve enjoyed the Arizona Wine Festival and the Art of Beer. If you attended in the spring, you know that the beer and wine garden was bursting at the seams. 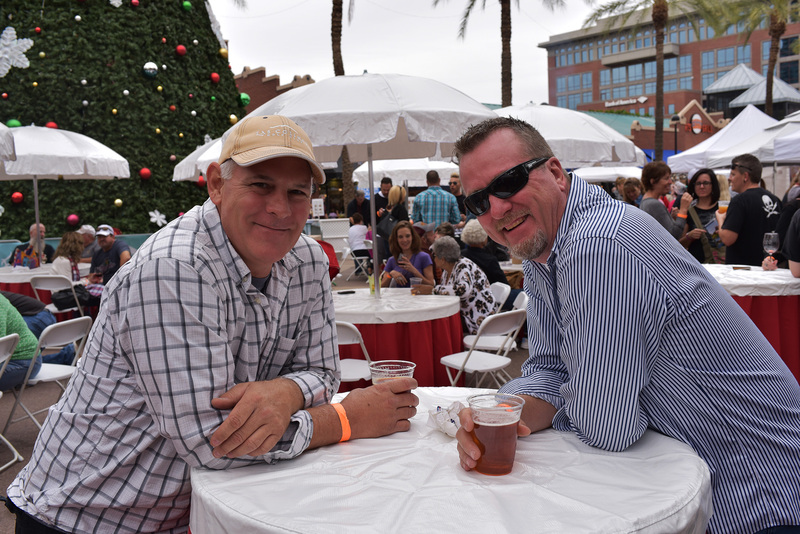 To accommodate those wanting to enjoy a glass of wine or sip on a local brew, the Tempe Festival of the Arts has essentially tripled the locations that are now simply considered Beer and Wine Gardens. The 3 Beer + Wine Gardens will feature a combination of beer and wine offerings in partnership with Tempe-based Four Peaks Brewery and Pedal Haus Brewery as well as Gordon Biersch Brewing Company. Bonus: these Beer + Wine Gardens are situated perfectly with the 3 stages. See next item! It’s no surprise that local food trucks are still a novelty for most folks in the Valley. There were a few food trucks featured at the spring festival, and due to their popular demand, an official Food Truck Alley was born. I’m sure we’ll see some fan favorites like The Maine Lobster Lady, but it’s rumored that we’ll see as many as 10 foodtruckpreneurs over the course of the weekend, with everything from local farm-to-fork fare to wood-burning pizzas. My mouth is watering just thinking about all the delicious bites that are to be consumed. 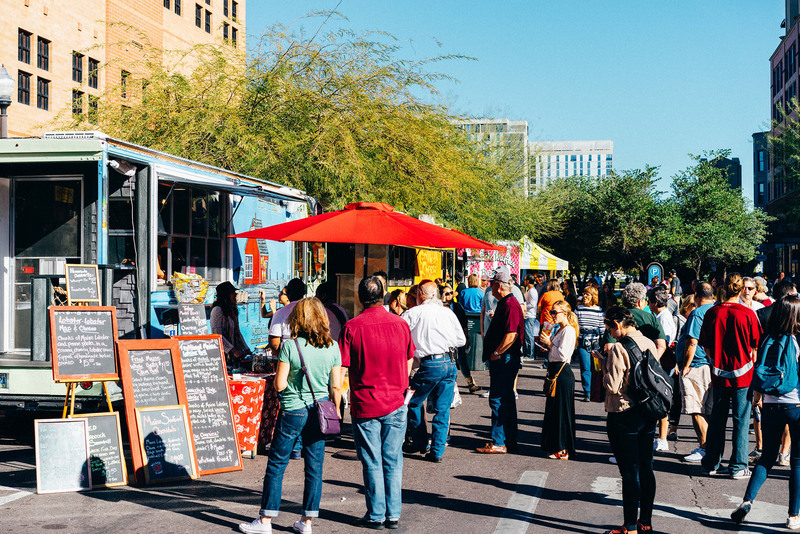 Confession #2 – I’ve gone to the Tempe Festival of the Arts on all 3 days (on multiple occasions) just so I can eat a variety of all the yummy food and snacks available. Not my proudest moments, but I wouldn’t take them back for anything. Save your appetites folks! Do I dare promote another event for you to check out during the Tempe Festival of the Arts…? I do! But only because it will be a lovely compliment and somewhat of an extension of the festival on Sunday ONLY. Check out the 6th Street Market…it’s in 6th Street Park -- a little hidden gem that you’ll thank me for later. 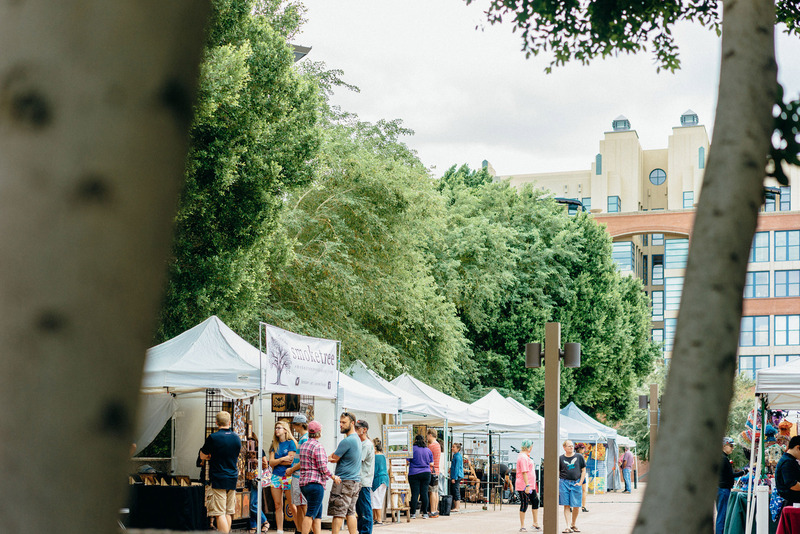 The great thing about this artisan and maker market is that it’s there EVERY Sunday, but I expect it will be extra special on December 4th to account for Tempe Festival of the Arts and the crowd it brings.